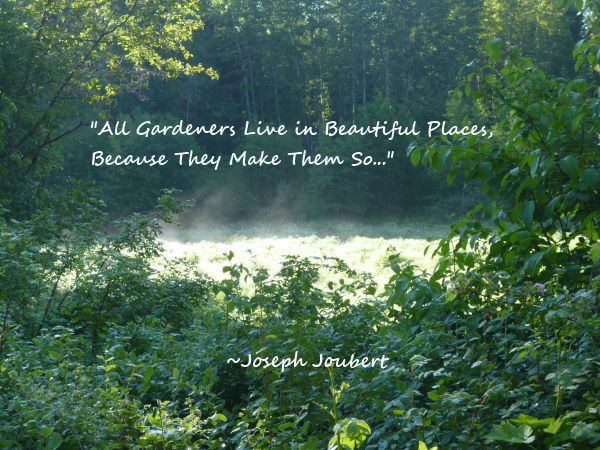 There are lots of great garden quotes out there. Here are just a few collected together for you. 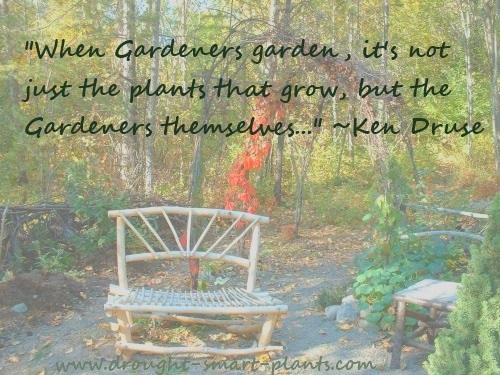 Some are short and sweet little phrases that would fit perfectly on a garden sign or plaque, others are longer and can be attributed to a particular person (usually a gardener) with their wisdom and passion shining through. 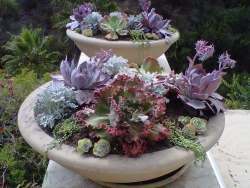 Quite often, they're used in gardening and plant books to introduce each chapter. 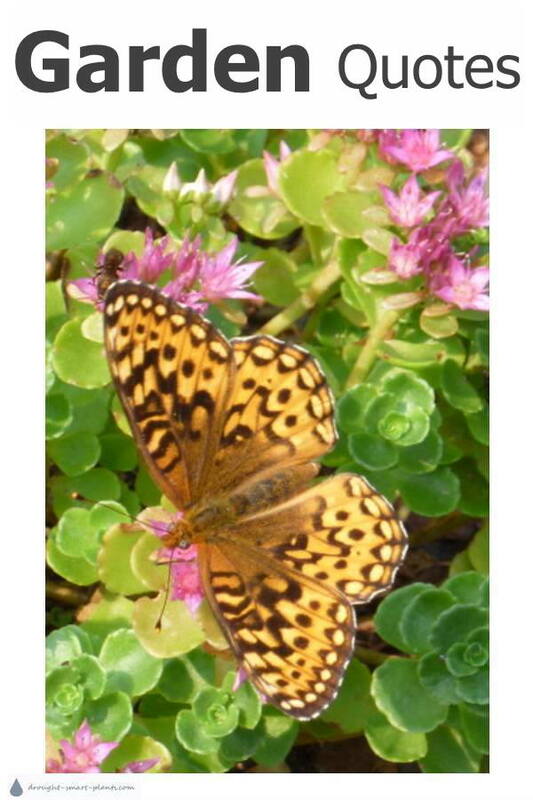 They are also commonly found as images with a beautiful picture overlaid with the quote. There are lots out there for almost any use. This selection is just a tiny fraction of what's out there. Where possible, I've included the original source but so many of these have been lost to history. It's a sign of wisdom that seeds don't squander their energy all at once, instead calmly waiting until the time is right. Seeds aren't stupid ~ Midas Dekkers' The Way of All Flesh' in 'Romance of Ruins' "
Old Gardeners never die, they just go to seed. There are lots of Thymely Sayings on this page; Signs of the Thymes and many more Garden Sign Sayings on Blue Fox Farm.